Cerebral palsy is a physical disability that affects movement and posture. Did you know every 15 hours a child is born with cerebral palsy – making it the most common physical disability in childhood? Australian babies diagnosed with cerebral palsy. There is no known cure. Every dollar you raise will make a real difference so thank you for fundraising! 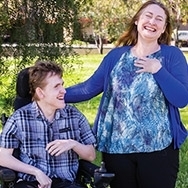 You're helping give kids and adults living with cerebral palsy, and their families, opportunities to reach their goals. You're helping them reach their full potential. You're helping build futures. “The needs, wants and hopes of families are integral to our research direction and priorities. 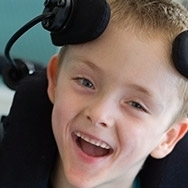 The money you raise will help reduce waiting times by helping Cerebral Palsy Alliance purchase life-changing equipment - transforming the lives of kids and adults living with cerebral palsy, and their families, who will no longer have to wait many months for vital equipment they need right now. The funds you raise will go into helping us change the future by finding a prevention and cure for cerebral palsy.